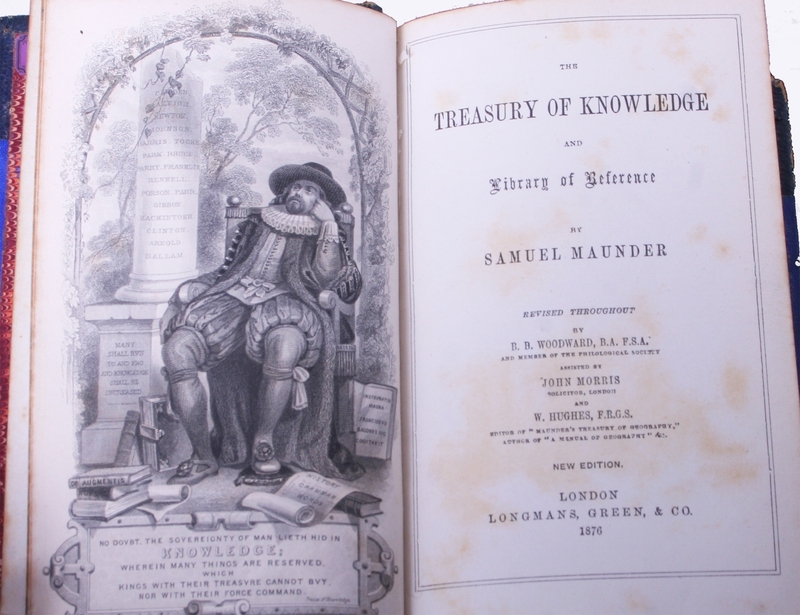 comprising: Maunder's "Treasury of Knowledge and Library of Reference" (pub. 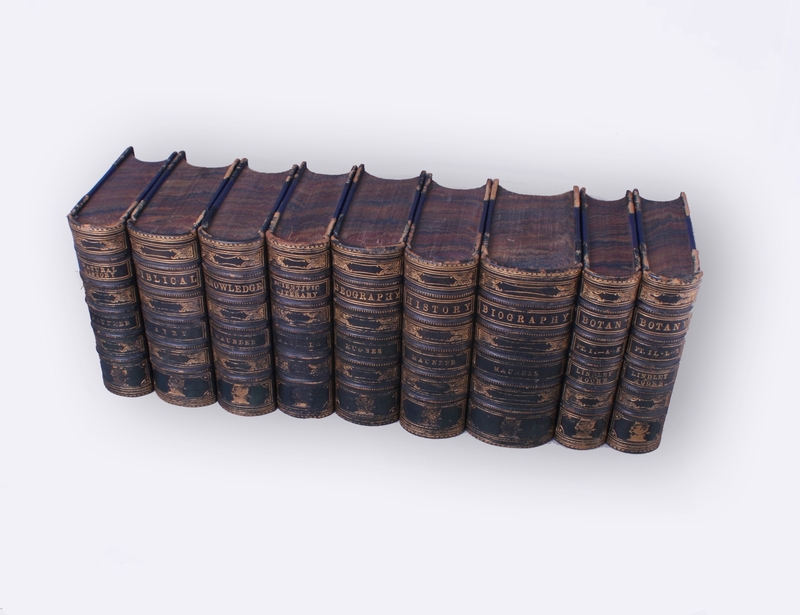 1876); Maunder's "Biographical Treasury or Universal Biography" (pub. 1878); Lindlay & Moore's "Treasury of Botany" (2 vols., pub. 1876); Maunder's "Scientific & Literary Treasury" (pub. 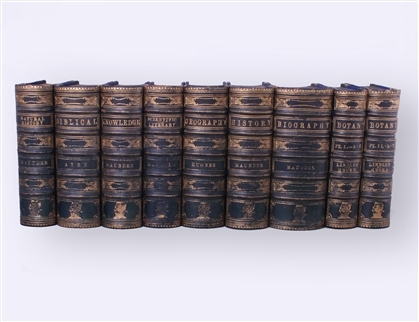 1880); Hughes's "Treasury of Geography" (pub. 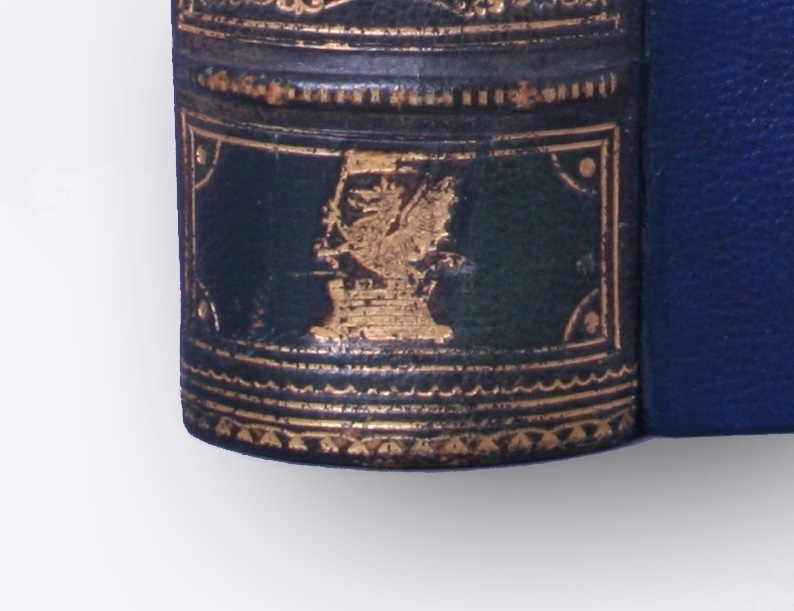 1878); Ayre's "Treasury of Biblical Knowledge" (pub. 1897); Maunder's "Treasury of Natural History" (pub.1878); Maunder's "Treasury of History" (pub. 1878). 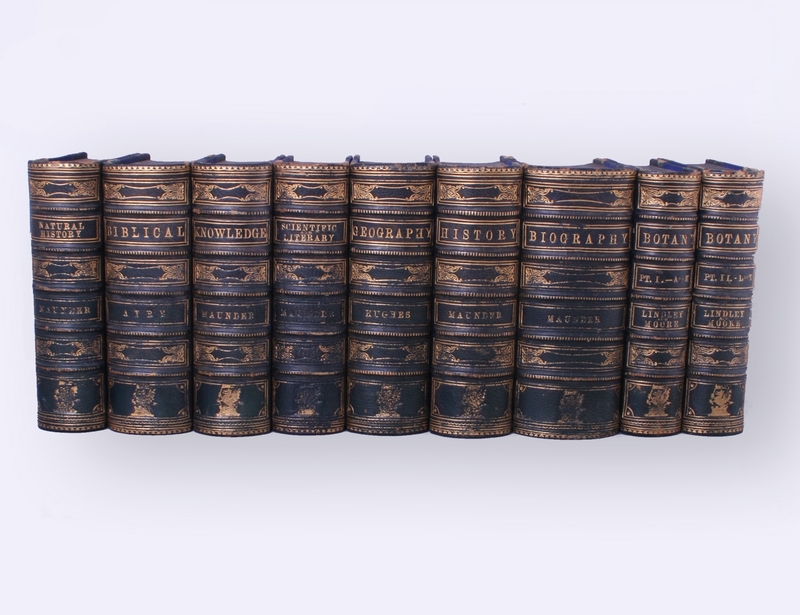 9 volumes in total. Numerous plates, maps and illustrations. 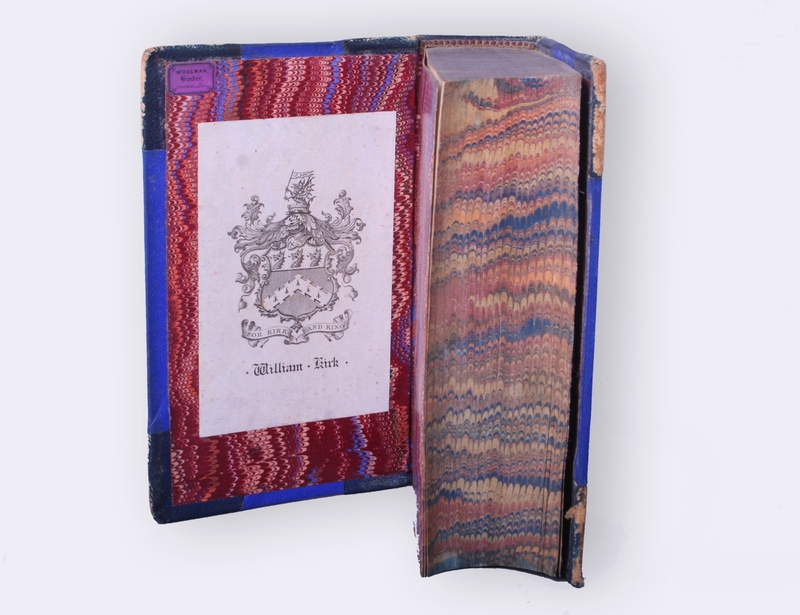 Each octodecimo (approx 4"x6.5"), similarly bound as a set in half leather and blue boards with marbled edges by WOOLMAN of Stockton-on-Tees with gilt decoration and family crests on spines. Each with armorial book plate of William Kirk. Extensive wear to bindings and foxing to text. From the library of William Kirk of Norton, Stockton-On-Tees.